You see a map that displays territory of Kazakhstan. map of Trushnikovo и OziExplorer calibration download for free. detailed map of Svinchatka for Garmin. actual map of Novotimofeyevka for Garmin. interesting map of Novaya Khayruzovka и OziExplorer calibration for gps. topographic map of Malaya Krasnoyarka for Garmin. detailed map of Kokterek with gps calibration this. 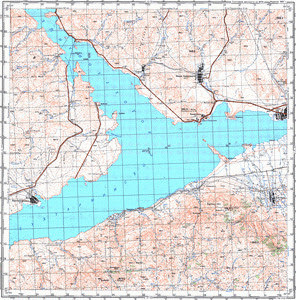 map of Khayruzovka with gps calibration free download. detailed map of Alibay 1 cm to 1 km this. interesting map of Primorskoye calibrated for you.